This training could be a matter of LIFE or DEATH! 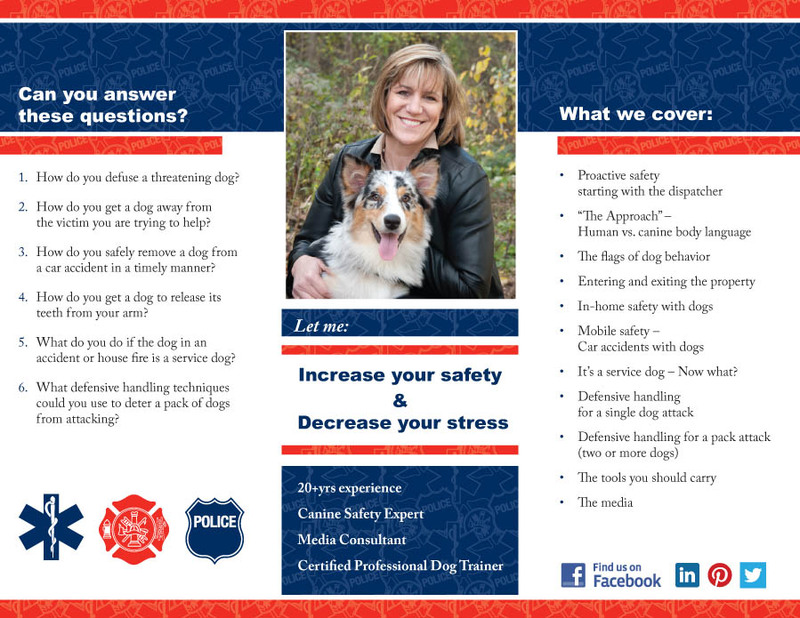 How do you defuse a threatening dog? How do you get a dog away from the victim you are trying to help? How do you safely remove a dog from a car accident in a timely manner? How do you get a dog to release its teeth from your arm? What do you do if the dog in an accident or house is a service dog? 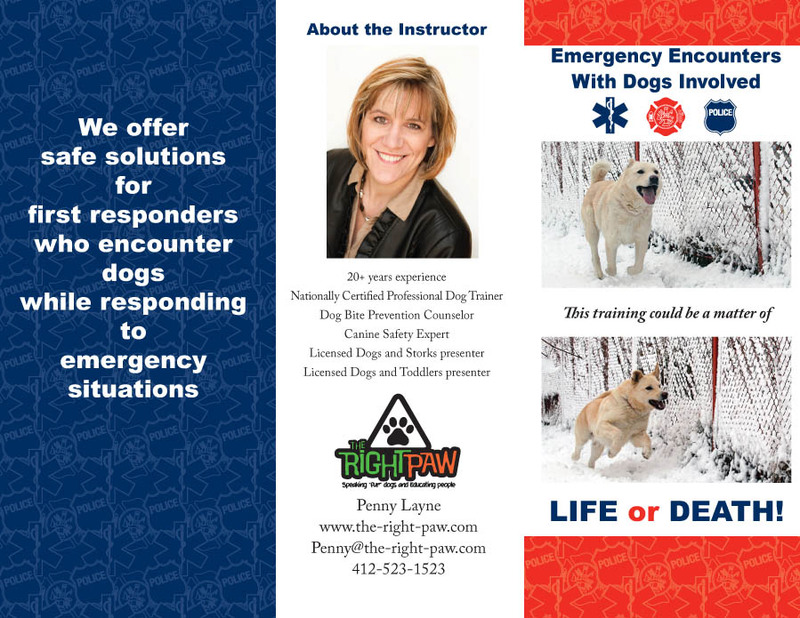 Penny Layne is a Canine Safety Expert and a nationally Certified Professional Dog Trainer. She is available to train your team anywhere in the United States. Penny is located near Pittsburgh, Pennsylvania.